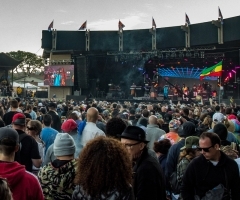 For the past eight years since the inaugural California Roots Music and Arts Festival, there is always an early October date that rings significant to reggae-rock-rap lovers alike. It's been a long summer since the previous Cali Roots went down over Memorial Day Weekend, and with the transition to fall comes the transition to the next Cali Roots year. We've reminisced. We've rejoiced. We've wished to relive the weekend in Monterey that held so much magic for us. And now, it's time to move on – that's right, it's 9th Annual time! In a time when music is under siege by corporations and big business, and festivals are turning into targets for terrorism and hate, California Roots will always remain a refuge for LOVE. California Roots festy fans have been waiting patiently for First Announcement Day: a day of joy and wonderment as everyone gets a sneak peek into what next May has in store. Well, hold onto your hats. The 9th Annual Cali Roots Festival will feature performances by Slightly Stoopid, 311, J Boog, Steel Pulse, Chronixx, Alpha Blondy, HIRIE, Mike Love, The Holdup, Sammy J, Raging Fyah, New Kingston, and The Ries Brothers... and that's just the first reveal, so stay tuned for much, much more! This is a solid lineup, all in itself, with a mixture of California reggae, island reggae, reggae-rock, roots reggae, reggae revival movement artists, and east coast reggae (maybe not an 'official' reggae genre, but east coast artists definitely have their own vibe going, so don't hate). There are even a couple of GRAMMY-nominees thrown in this short list (cough, Raging Fyah and J Boog). From industry giants all the way down to up-and-comers, every band on this rundown relates to each other in at least one compelling way – using music to preach peace, tranquility, and togetherness. Try Sammy J on for size with his dimples and soulful crooning; HIRIE with their indisputable respect for each other as they jam; New Kingston with members literally being family. In a time when music is under siege by corporations and big business, and festivals are turning into targets for terrorism and hate, California Roots will always remain a refuge for LOVE. Music heals all, and 2018 Cali Roots artists are true messengers of pascifism, harmony, unity. As per usual, the first Cali Roots announcement brings with it the opportunity to lock down early bird tickets starting this Friday, October 6th at 10am Pacific Standard Time. Prices are at their lowest for a limited time only, so now's the time to start planning ahead for the 9th Annual – you won't want to miss this one! Two more artist announcements are due out generally around early December and mid-January, so check back for more reveals when the time comes. 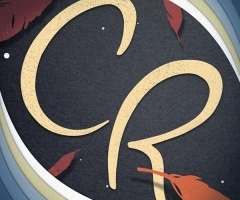 In the meantime, find all up-to-date California Roots 2018 information at www.californiaroots.com.